Thanks to Michela from rockytravel.net I am taking part in HostelBookers 7 Super Shots. I wasn’t surprised how difficult it can be to pick only 7 photos from 1000s I have in the archive. It probably would be easier to pick Top100, but here we go. 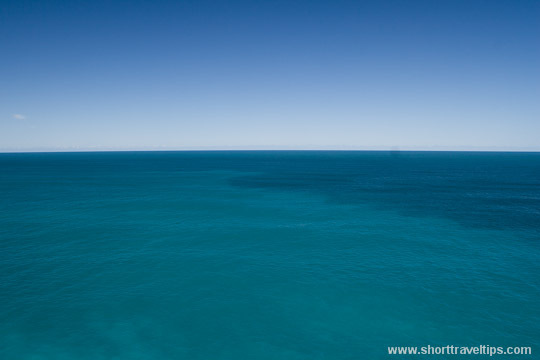 I was siting on the cliffs where Nullarbor Plain meets Great Australian Bight with whales swimming under my feet and was watching to endless horizon of the Great Australian Bight in South Australia. The view which takes your breath away. 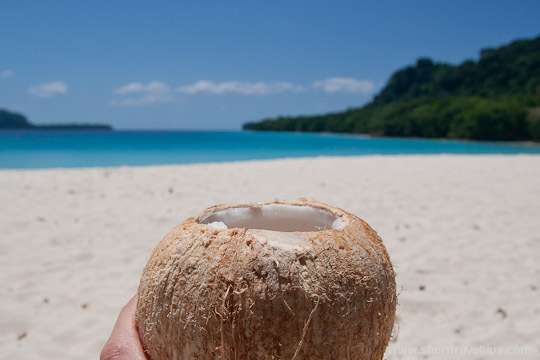 Who wouldn’t want to spent time on pure white sand beach with crystal water? Champagne beach is called best beach in Vanuatu and is one of best beaches in the South Pacific and I can’t argue with that. Everybody heard about global warming, but not so many people saw what is happening. Glaciers are one of best examples to see effects of climate change. I saw it in Southern Alps in New Zealand, in Rocky Mountains in Canada and US. This is current photo of Mikkajekna glacier in Sarek National Park in Sweden. 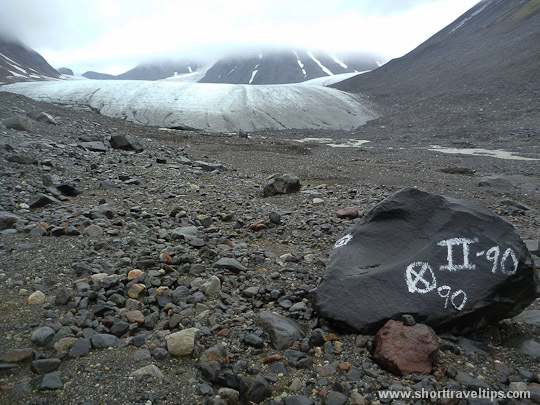 The mark on the rock shows where tip of glacier was 22 years ago. Will be any glacier here in 50 years? 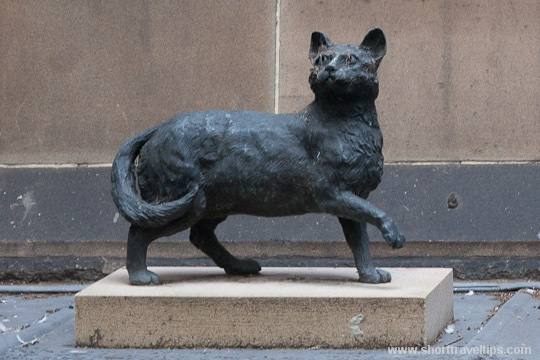 There is a statue in Sydney near State Library of New South Wales. 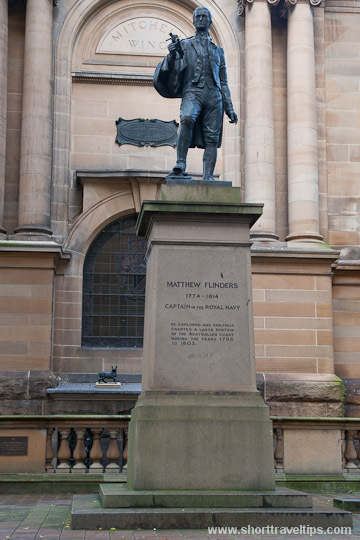 It was erected in honor of Matthew Flinders who was first to sail around Australia. Can you tell what is so special about this statue? This is hard one, because I have tons of aka worthy of National Geographic shots 🙂 But because I can show only one, so it will be this one. It was taken during my volunteering in game reserve in South Africa. It wasn’t most friendly lion, but I loved to make shots of it. The rules of 7 Super Shots are here. I will be waiting to see your shorts. Love the last shot! I’ve always wanted to go to Africa for the longest time. Wonderful photos and that lion is superb! Thanks for popping by my bog and checking out my Super 7.
thanks Kathryn and you welcome, yours photos are nice too. So many details on that Lion, great pic! Nice shots, thanks for checking mine out, Vi. Great shots, especially the lion…although I would like to try the beavertail once too, looks delicious… Thanks for your comment on my blog ! Greetzzzz, Marcellinho. Fantastic shots!! All I can say to the mouth watering shot is great minds think alike. Very nice! Thanks for visiting mine–so I could see yours! Very nice shots, love the lion. Thanks for visiting my blog. Love the Champagne Beach shot and the lion is an amazing photo! 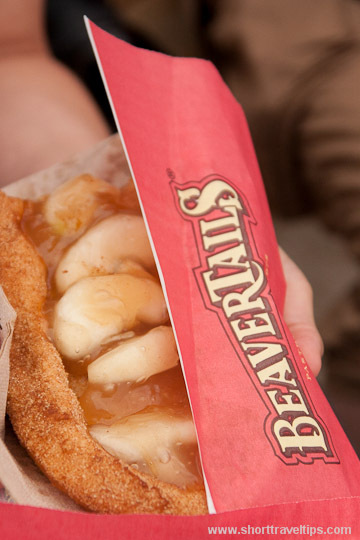 Believe it or not, I just had my first BeaverTail last month when my younger daughter and I visited Ottawa – delicious!! What a great collection of super shots! I love the Vanuatu shot. It’s so tropical and one that need to be hung to remind us of a vacation. That lion shot is absolutely beautiful. Wow on those teeth. 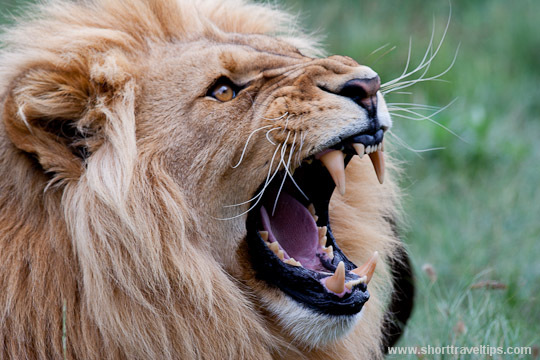 really love the lion shot! Fantastic shots! Thanks for sharing, I love the lion. That glacier photo is disturbing. and wow! You have gone to many places! I love them all! 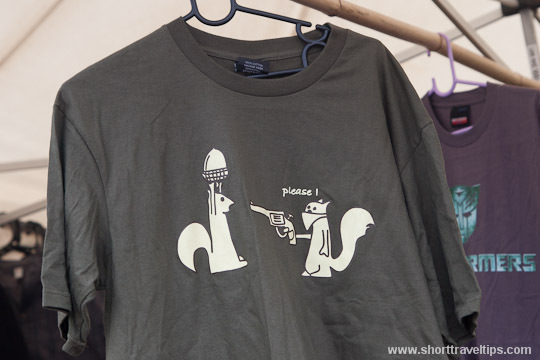 I liked the “polite squirrel” and the “glacier” shots the most! Thanks for leaving a comment on my 7, too! Thanks for dropping by my blog. I hope to see you more often. thanks Nisha. I follow your fb page too. Wow these shots are amazing! I loved the lion the most! Great shots, thanks for directing me towards your collection when you commented on my blog recently. The first one I think is stunning indeed. You did get that nice, sharp photo of the lion at just the right moment. Great photos all. The Lion, indeed, looks handsome! Great job! I so love Trim’s statue! He’s so cute! (obvious cat lover here). But I agree your lion shot was great. What perfect timing!